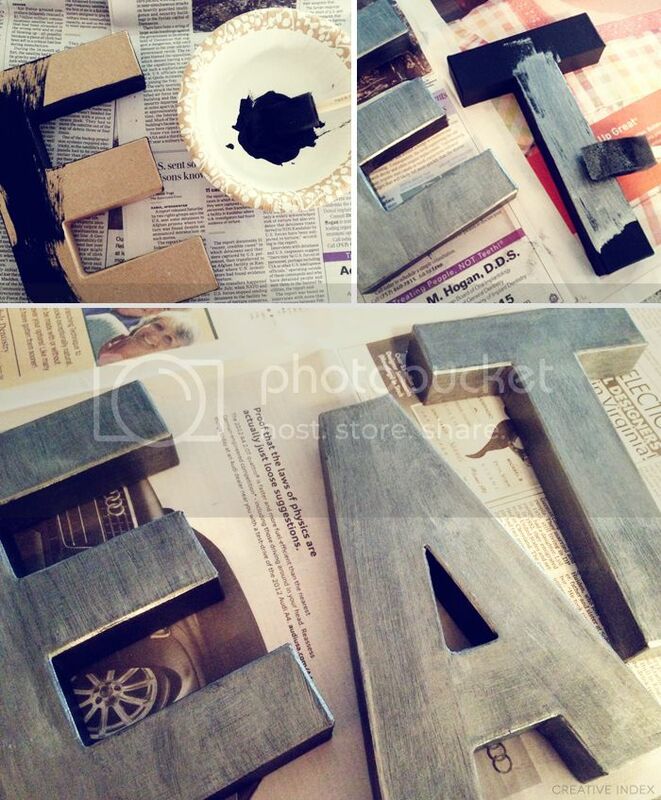 I've been obsessed with those zinc letters from Anthro ever since I laid my pretty little brown eyes on them. But at almost $20 bucks a pop, they are a bit out of my price range. I really wanted to fill in an empty space above our stove, and with family coming into town this week, I made my way to the craft store for some supplies and I made my own. Want to make them yourself? Here's what you need to do.... it's EASY! Now I want to make a J and an ampersand for my office! What do you think? Would you DIY them? Or do you prefer the originals? 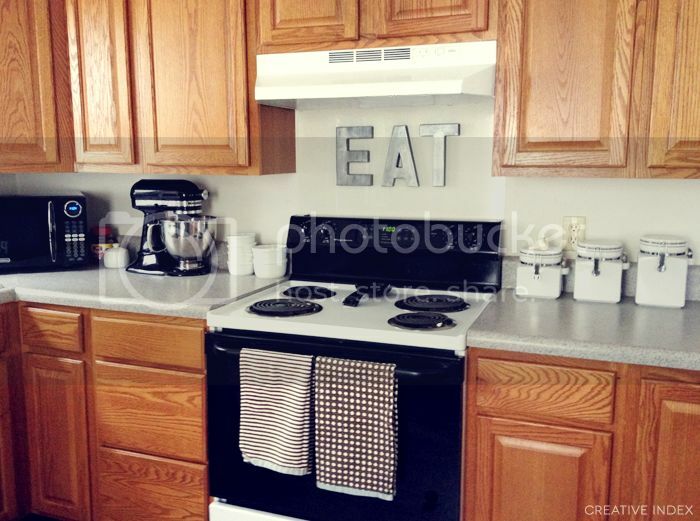 I love to share with you this love for bold lettering around the house. Great job and thanks for sharing, I think when we move this fall I'll do something similar! and I'm loving your blog-- I love the clean, non cluttery layout. it's refreshing. 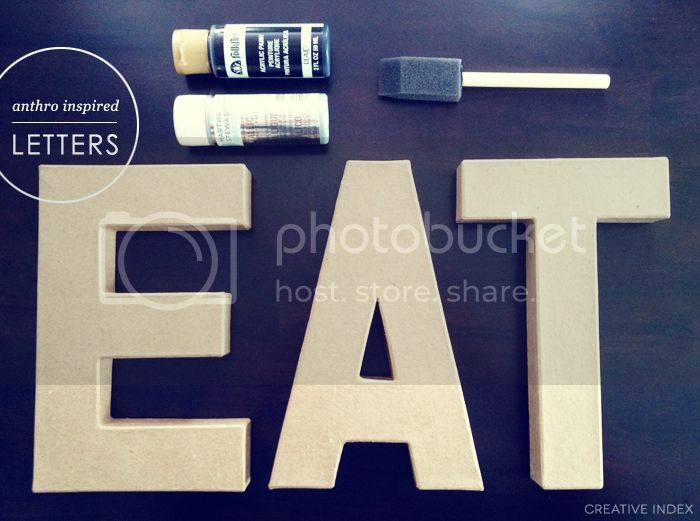 Ooh I've been meaning to try this DIY! 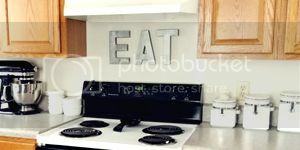 Your letters look fab in the kitchen! Wow! They look great. Such a fun update :)) I'm thinking of doing this in an M for my bedroom. Great job!! Thank you so much for leaving me a comment on my blog! Gosh I love how they turned out!! I love these! you did a great job! They are looking great. I can't wait to move and do our new place up. such a cute an easy diy!! What if you made one that said chocolate or something? haha i'd love it! Where did you buy the paper mâché letters? I can't find them at hobby lobby or Michaels! I use a die cutting machine and SVGcuts file for the letters. But first, I have to cut them out and put them together. What a great idea! Where did you get your adorable kitchen towels? I got them a few years ago, but they are from Target!